From time to time I will be doing Giveaways here on The ValleyScott Blog. This is our biggest single giveaway yet! 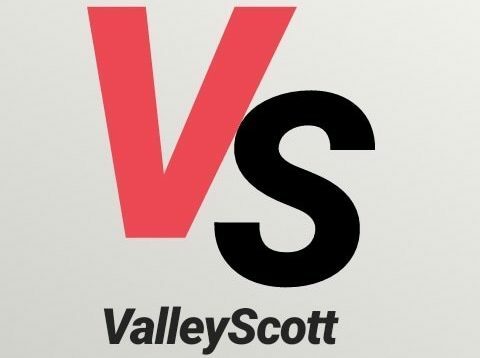 To celebrate the One Year Anniversary of The ValleyScott Blog we are giving away a $100 Amazon gift card. To enter, you need to leave a comment on a blog post during the month of April. Comment on any post on The ValleyScott blog. Your comment needs to add something to the discussion: “I like this”, “I agree”, “Good article”, etc. won’t do it. Your comment should address how you feel about the topic, add some insight, bring a different perspective. It’s okay to disagree with the post as well. All comments should be respectful–no hate comments, no unnecessary vulgarity, no bigotry, and no troll comments. Every comment you make counts as an entry, so feel free to comment on more than one post. I will allow each person to gain up to 10 entries for the month. Please enter under only one name. All comments made between April 1 and noon on April 30 will give you an entry. The winner will be drawn at random on the afternoon of April 30. Good luck! Our March Music Giveaway was Miss GingerRoots! Congratulations Miss Ginger, we hope you enjoy those Amazon and iTunes cards! The Winner is: Miss ElisaBlue!!!!! Congratulations on your $50 Amazon Gift Card! And Thank You for your support of The ValleyScott Blog! The winner was announced on January 31: Miss curvvynikki26 won a $50 Amazon Gift Card! TexasSunshine, KellyRyan, JustJamiBBW, and Sabrina Luv each won a $25 Amazon Gift Card! It was a good day for the ladies!